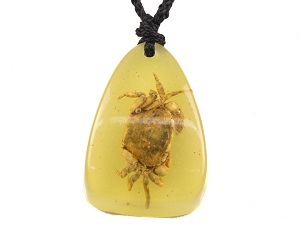 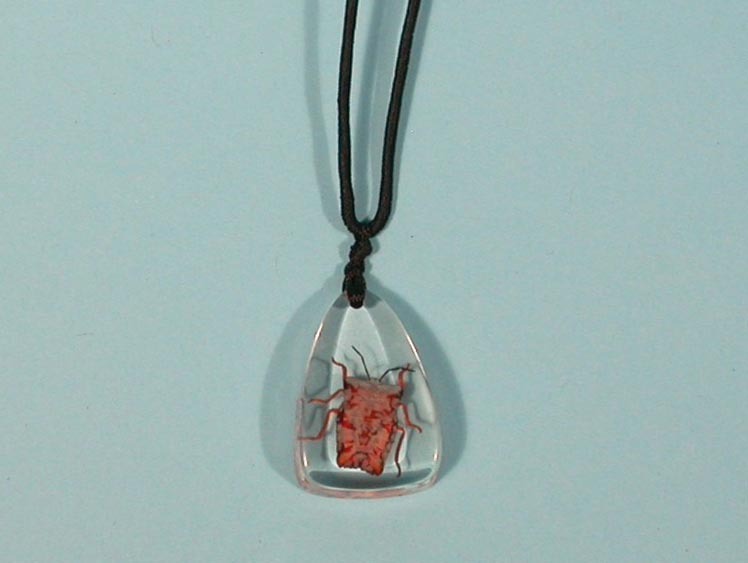 Available in "scientific" clear or "fun" glow-in-the-dark styles, these real bugs are mounted in a 1.25" by 0.75" tear-drop shape plastic pendant hanging on a 12" to 24" adjustable cord. 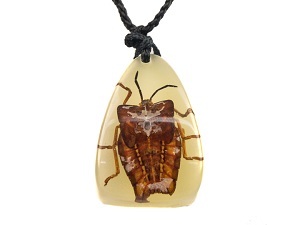 These insects are wild caught. 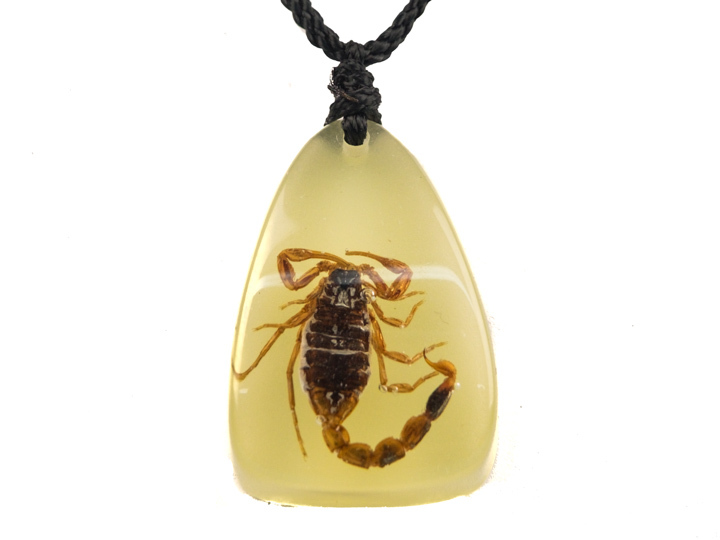 The picture at right shows the glow-in-the-dark scorpion necklace. 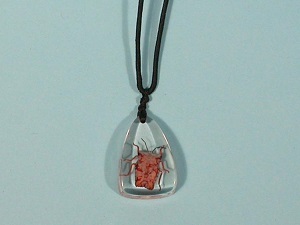 The picture at right shows the glow-in-the-dark crab necklace.